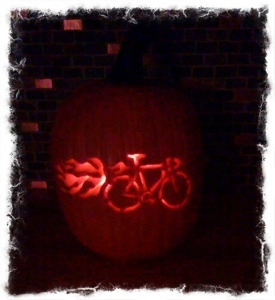 Yep, it’s that time of year! 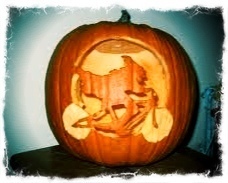 Goblins, goolies, witches, and spooks take over our October. 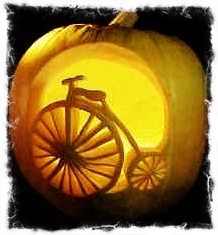 I am definitely as obsessed with Halloween as I am with bikes. Ever since I was a kid, and my dad let me watch Elvira Mistress of the Dark (Google her if you are not old enough to remember), I have been hooked on horror movies, things that go bump in the night, and of course, Halloween. 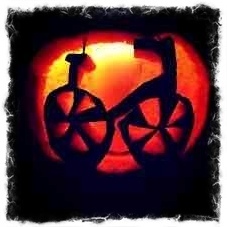 So enjoy my little homage to two of my favorite things, Halloween and cycling. For years and years, the subject of seats and comfort have been one of the biggest mysteries to our clients. 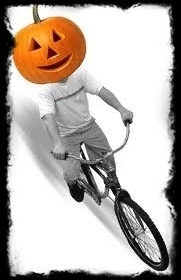 Daily…yes daily, a bike shop employee gets asked, “what is the most comfortable seat”? Wow, what a hard question to answer. This is one of those times that I know if I had a crystal ball, I would be filthy rich. But really, would I use the powers to answer that question? Actually, I would. Seats can be a real pain, no, really. There are so many factors to finding a “comfortable” seat for a cyclist. Luckily enough, technology is getting better and better, and the choices are limitless in seat choices. Many companies now offer “DEMO” seats or satisfaction guaranteed return policies. Without a doubt, if the seat is uncomfortable, your ride will turn out to be miserable. 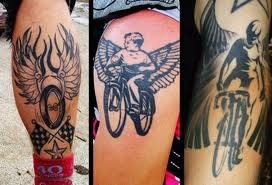 The point is to ride, exercise, and have a great time, not walk around in pain for hours (or days) after your ride. 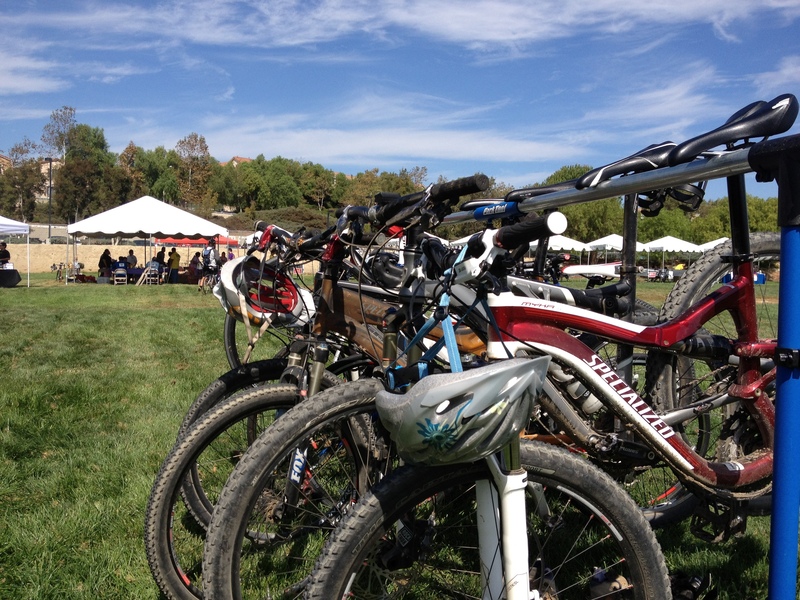 Here are a few tips that we can recommend while searching for the perfect bicycle seat! How comfortable a seat feels has a lot to do with where your sit bones (those bones you feel when sitting on a curb or bench) rest on the seat. 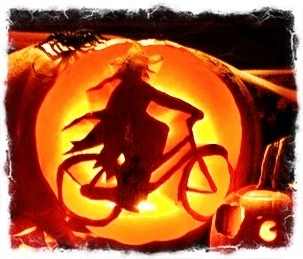 Ideally, those bones will rest on the saddle’s padding. If you’ve been using a seat for a while you can usually see indentations formed by the bones, which allows gauging whether or not the seat is appropriate for your anatomy. It’s hard to predict which seat will be right for a given rider. Sometimes a wider seat solves pain and other times the narrow ones do the trick. It’s all a matter of which seat suits your body shape. For starters, the wider your pelvic anatomy, typically the wider you want the seat to be. Modern Seats Offer Improved ComfortOver the years, more amazing seats have been designed than probably any other bicycle component. And today, there’s still a wide array of models to select from, some with fairly wild shapes. One feature shared by many of these seats is a cutaway in the saddle top designed to relieve pressure on sensitive tissues in the genital area. 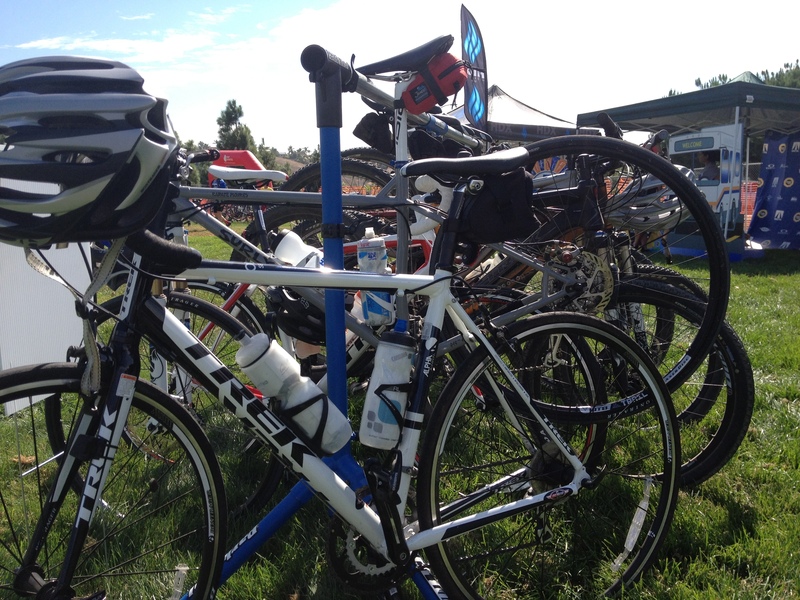 Our customers have found these saddle types to be particularly helpful for eliminating problems with numbness. There are also models that have softer sections in the center of the seat designed to work the same as the cutaway. Another pressure-point eliminator is gel. Some seat makers use this in the sensitive areas to prevent pressure that causes pain and numbness. 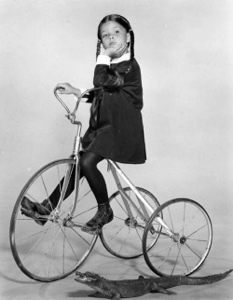 When trying seats, be sure to do so wearing your cycling clothing because if you’re wearing pants with seams in the crotch area, you’ll feel the seams and won’t be able to judge the seat comfort. Also, after putting on a new seat, it’s best to re-check saddle height because the shape of the new one may be a little taller than the one you’ve been using. If a seat is too high or too low, you’ll feel discomfort from the incorrect seat position and won’t be able to feel whether the seat is an improvement or not. The easiest way to match seat height is to measure it before you remove your original seat. You’ll then have the exact height to place the new seat and you won’t have to experiment to find your optimum position. And while we are talking about seat comfort, this is a great time to bring up seat adjustment! For optimum comfort and pedaling efficiency, position your saddle so that when your crankarms and pedals are parallel to the ground, a plumb line dropped from the bony protrusion just below your forward knee either bisects, or falls 1 to 2 centimeters behind the pedal axle. This setting varies according to personal preference and riding position. 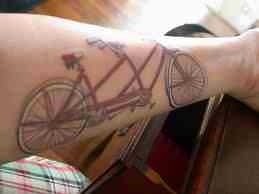 For example, if you like to pedal fast (95 rpm plus), place the plumb line directly over the pedal axle. If you pedal more slowly (80 to 90 rpm), you’ll probably prefer a rearward position. Seat fore-and-aft position is a tricky thing to determine and adjust without help. 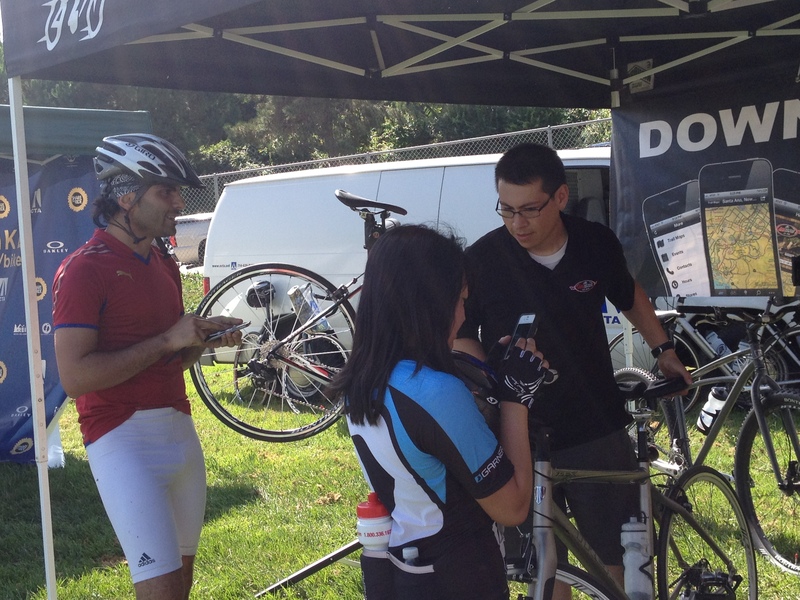 If you feel you need advice regarding bike fit, please call us or come in soon. If you’d like adjust your seat position, on most bicycles all that’s required is a 6-mm Allen wrench. Use it to loosen (turn counter-clockwise) the bolt beneath the seat that clamps the seat rails in the hardware atop the seat post.Once the bolt is loose, you’ll be able to slide the seat on its rails forward and back. Don’t loosen the bolt too much or it might fall out allowing the seat and clamping hardware to scatter and forcing you to figure out how to assemble it again (doh!). Sometimes a seat will get stuck in the rails, but if you knock it a bit with the palm of your hand, you should be able to break it loose from the clamp. Usually, it’s best to start adjustment with the seat rails centered in the seat clamp. This provides the most support for seats with titanium or hollow rails, too, which can bend if they’re not braced properly. As you move the seat forward and back to tune position, be careful not to change the seat angle. It’s best to keep the top of the seat level with the ground or barely tipped up or down to your preference (no more than three degrees). To gauge whether or not the seat is level, rest a carpenter’s level (make sure the bike is level before measuring) on the top of the seat. Don’t have a level? 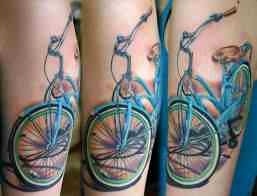 Put the bike on a surface you know is level and rest a yardstick on top of the seat. Then eyeball the yardstick’s edge against a distant building or some other level line on the horizon. 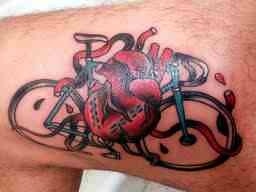 Keep in mind that how you feel pedaling can be affected by how your feet are positioned over the pedals. If you’re using the wrong size toe clip or you have your shoe cleats misadjusted, no amount of seat adjustment will make you pedal optimally. Ideally, your shoes, cleats and toe clips will be selected and adjusted so that the balls of your feet rest directly over the pedal axles (centers) when you’re riding. You can usually feel where your foot is over the pedal. 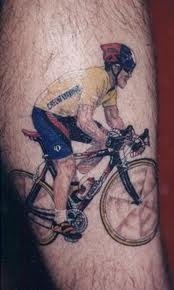 If you’re not sure, a precise way to check foot positioning is to remove your biking shoes and socks. Take some correction fluid or water-soluble paint and put a dot directly on the ball of one foot. Immediately put on your shoe to transfer the dot to the insole. Repeat with the other foot. You now have marks inside your shoes at the exact positions of the balls of your feet. To check foot position, hold the shoes in your hands and place them in the pedals and sight from above to compare the dot inside the shoe to the pedal axle beneath the shoe. 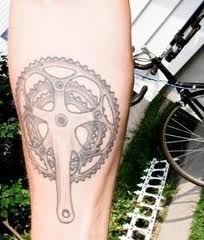 If the dots don’t bisect the pedal axles, adjust things so they will. So there you have it. There is a little science to the process, but that is what we are here for. We encourage our clients to bring in their bike and have us install the seat for them. 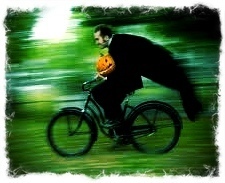 We know many little tricks, in conjunction with an appropriate seat, to make your ride as enjoyable as it should be! 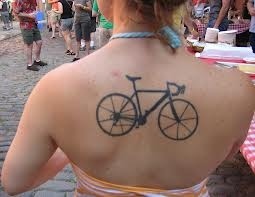 Like any athlete, most cyclists are committed to their sport. 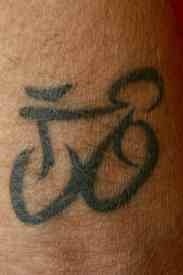 Cycling takes devotion, stamina, and passion. Cyclists will spend hours and hours in the saddle perfecting cadence, putting out higher wattage, beating their best time up their favorite hill, or perfecting their fastest line bombing down a hill. 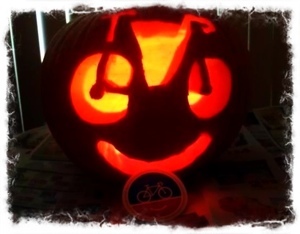 Like many of you, we have tons of friends who ride too! They show their commitment by riding every chance they get. 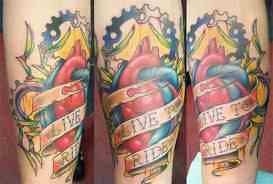 And actually, they show their commitments to art as well. 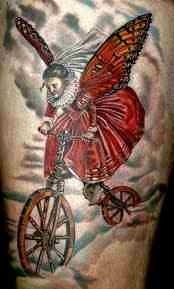 The art of tattooing that is. 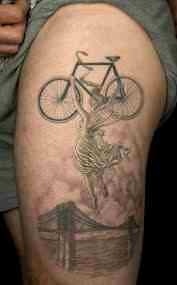 Ever notice how many cyclists are tattooed? 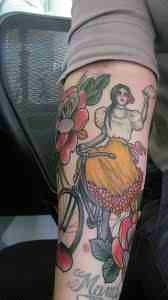 Many of our friends are tattooed with awesome artwork. So it got us thinking. 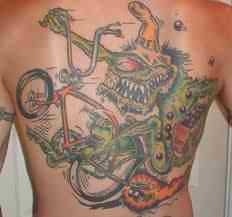 Tattoos are a tremendous commitment. How many things will you own or have in your life… for the rest of your life? 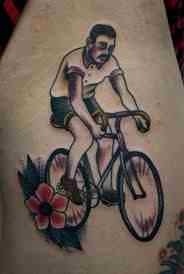 Maybe its a stretch, but is there a correlation between cycling and tattoos? Is it the freedom that both offer? 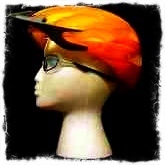 Both spark individualism and creativity. 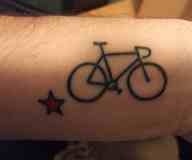 Whatever the case, we want to celebrate and share some tattoos of bicycles and cycling. Enjoy! 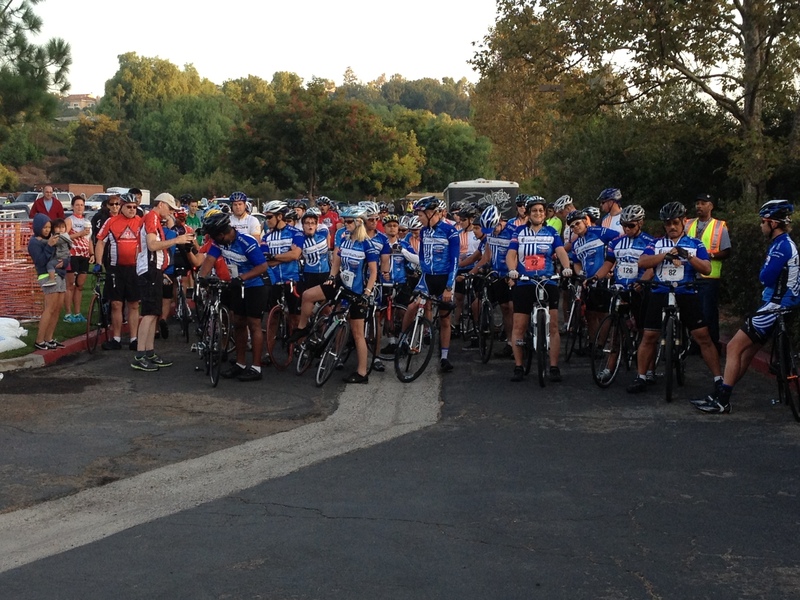 On September 29, 2012, the inaugural Orange County Tour de Cure took place. For those who are new to the Tour de Cure, this is a cycling event based around the American Diabetes Association raising money to fight diabetes. 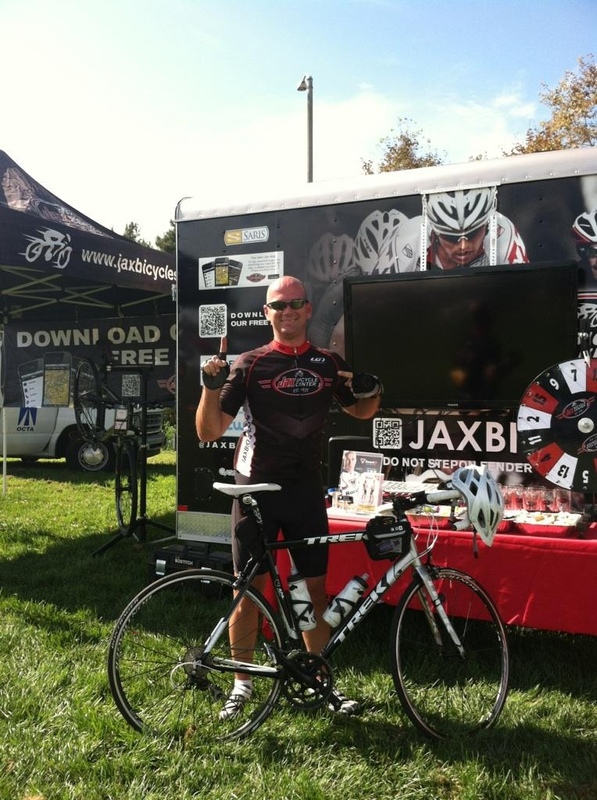 This particular event was very special to Jax bicycle Center. 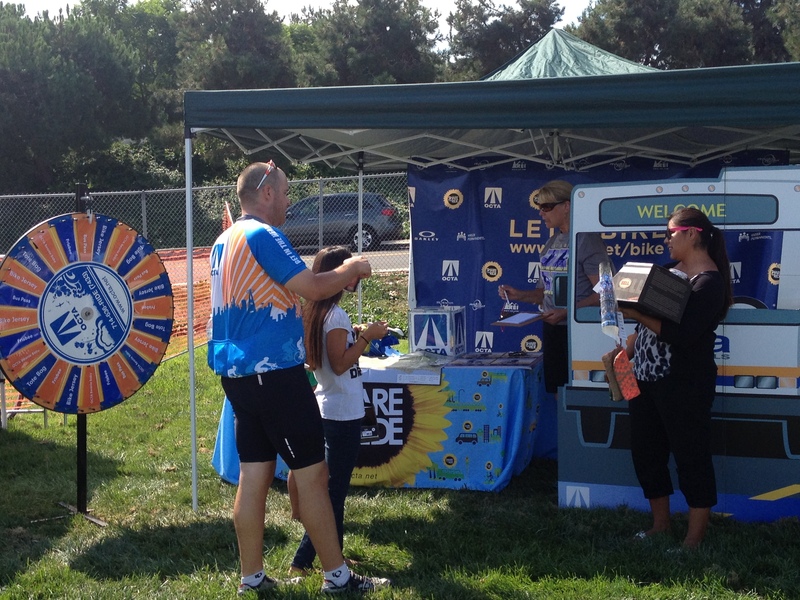 We have supported the Long Beach Tour de Cure ride for several years, but we really wanted to make a bigger impact for the inaugural Orange County ride. 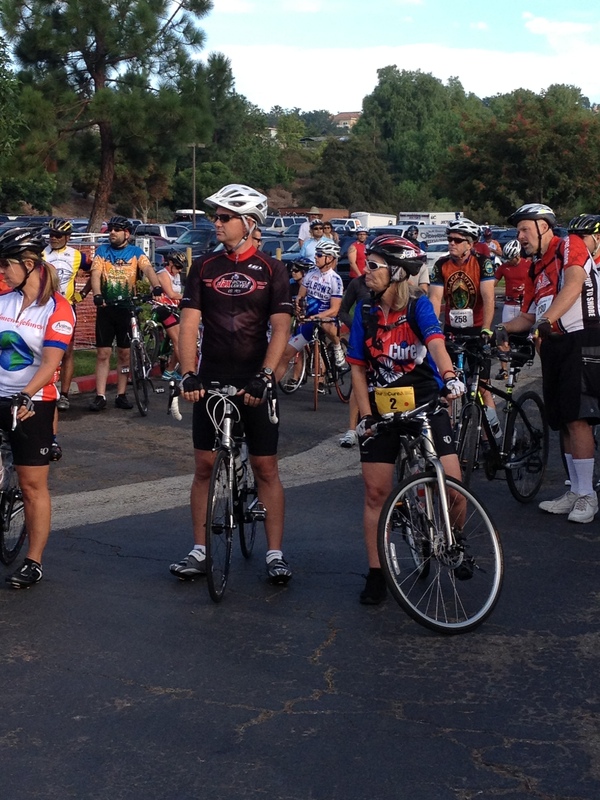 First, Jax very own Brian Cox set out to form the first Jax Bicycle Center Team to ride and raise money for the event. 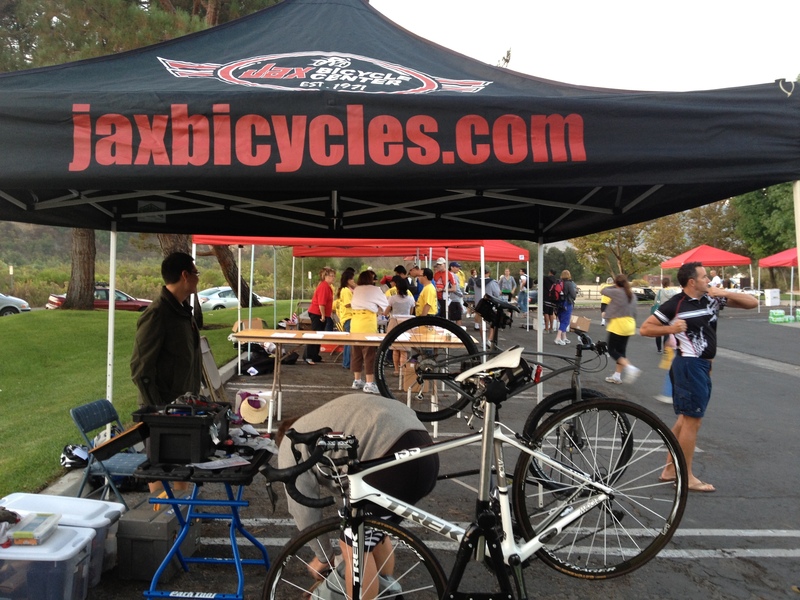 Next, Jax committed to be one of the title sponsors for the event. 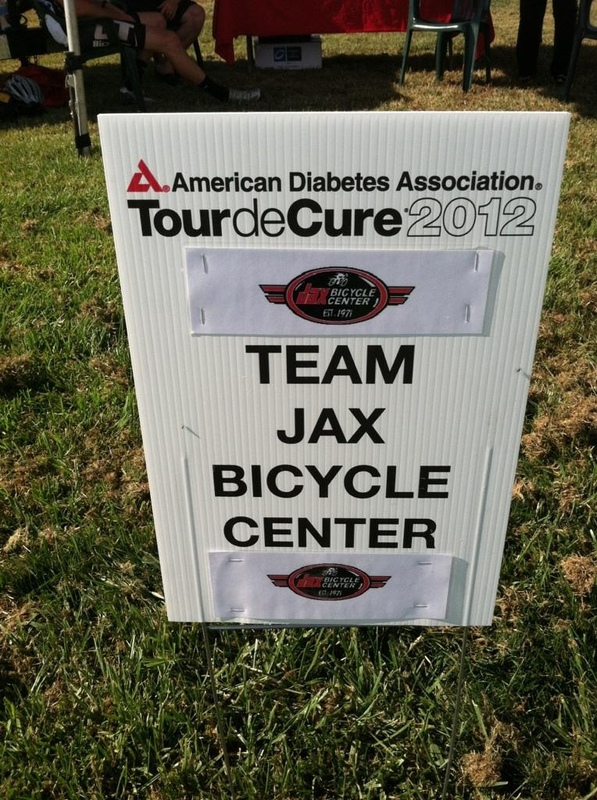 The day came for the event and we had 30 riders for Team Jax Bicycle Center attend the ride, two members of which work for Jax and are type 1 diabetics (insulin dependent). To say the least, everyone had a great time. 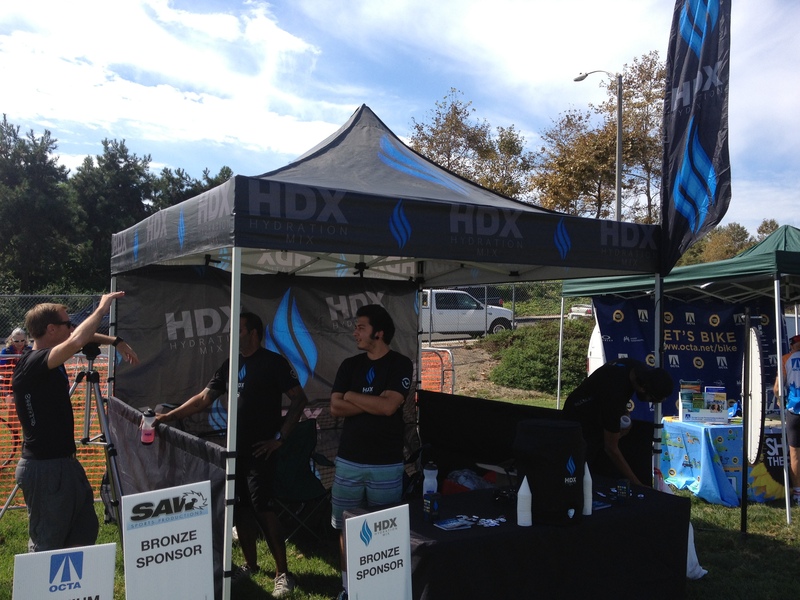 Jax offered pre ride bike adjustments, sag support, and supported the post ride vendor fair. It was truly a great day. 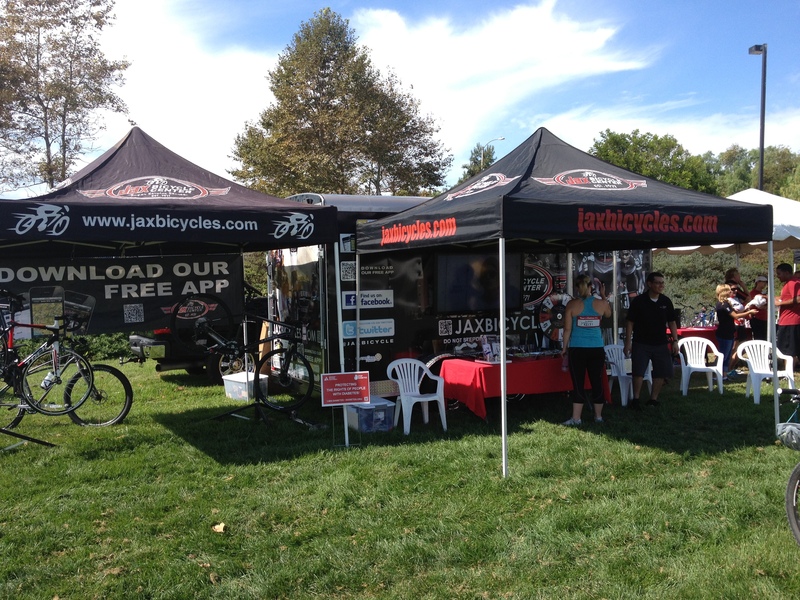 With all this said, Jax would like to send out a HUGE THANK YOU to all of the riders who rode for Team Jax. Our team fundraising goal was $5,000. We raised double that goal and ended at $10,422! We could not be more proud of every team member. 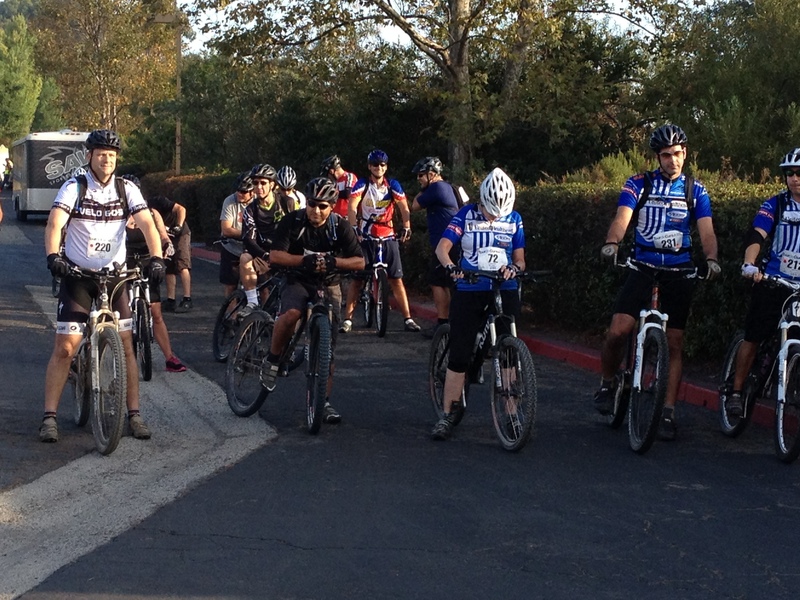 In addition, the event fundraising goal was $60,000 with attendance of 250 riders. 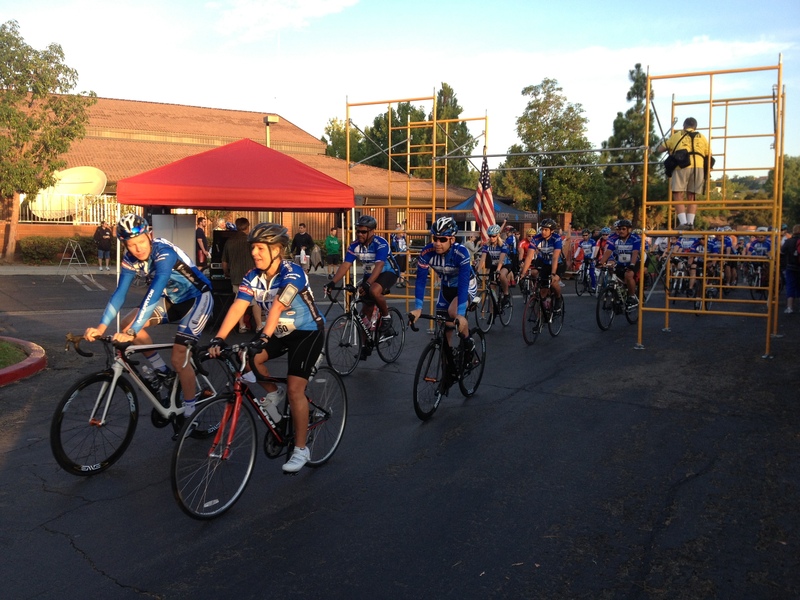 To date, $83,000 was raised and 230 riders attended the event. Enjoy a few moments captured the day of the ride!